Item # 312457 Stash Points: 4,795 (?) This is the number of points you get in The Zumiez Stash for purchasing this item. Stash points are redeemable for exclusive rewards only available to Zumiez Stash members. To redeem your points check out the rewards catalog on thestash.zumiez.com. 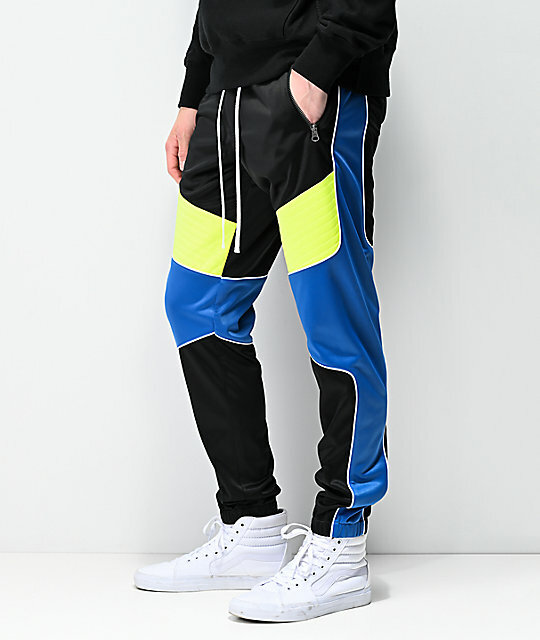 Take Moto inspired fashion with you wherever you go in the comfortable Ninth Hall Brake Moto Black, Blue & Green Track Pants. 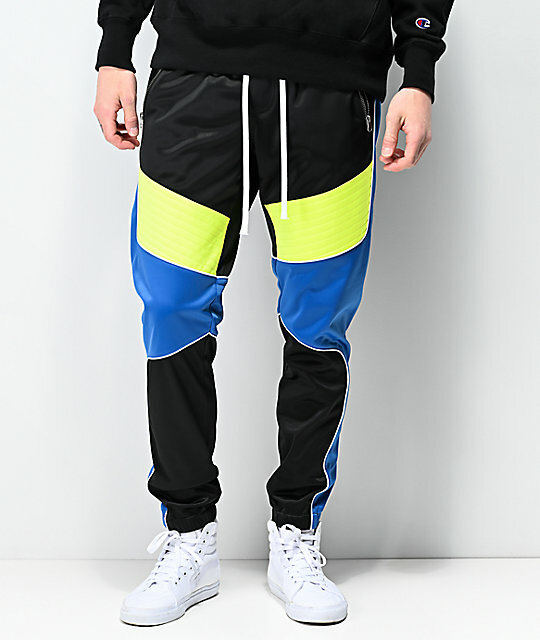 Pleated, bright green knees provide a splash of color and pattern while the blue and black color blocking throughout the rest adds additional style and detail. Finished off with two front hand pockets that have full zip closure for safe storage, these pants are ready for all-occasions. 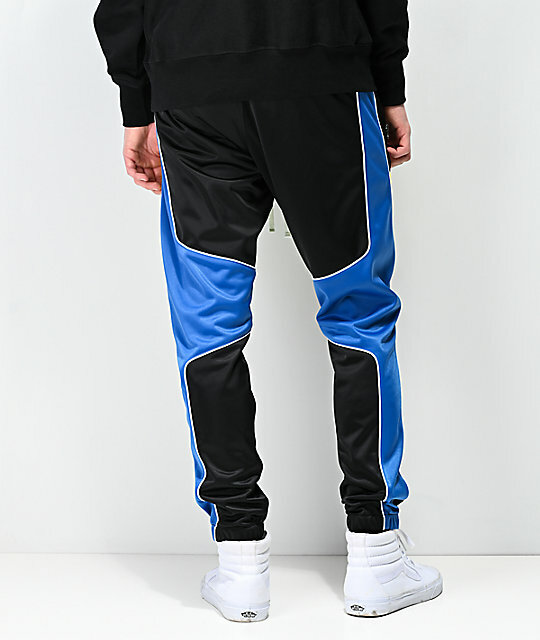 Nordberg Moto Black, Blue & Green Track Pants from Ninth Hall. Colorblocked black, blue and green construction. Front centerline pleating on legs.